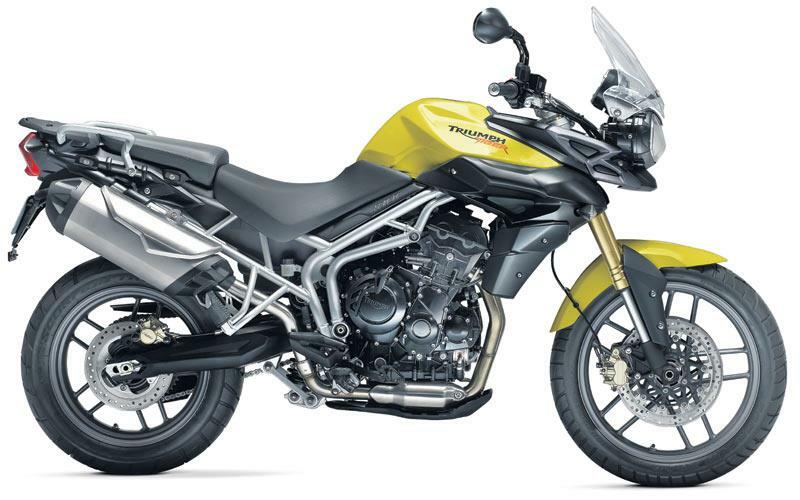 For riders looking for a genuine do-it-all machine, the Tiger 800 is one of the soundest used bikes on the market. The bike has no major issues likely to cause concern for any potential purchase. It's the slightly more basic, more road-orientated and novice-friendly (not to mention cheaper) version of its three cylinder dual-purpose machines. The other is the Tiger 800XC. It’s a great bike, too – impressing immediately with excellent ergonomics, and a superbly linear and progressive power delivery. Handling is always a priority with Triumph and on this evidence they’ve succeeded again. 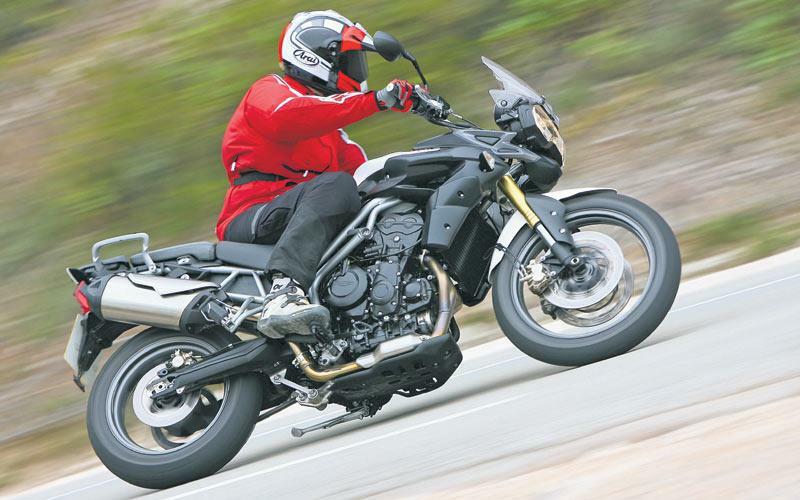 The road, 19inch-wheeled, lower, lighter 800, is inevitably the sharper, slightly easier of the two Tigers through the twisties – but not by much. What’s most impressive is the handling quality given pretty basic components. Their set-up is such that, overall, on road, both are more than capable of mixing it with sports bikes and are a real blast to ride, while at the same time being decently stable, comfortable long distance machines, although we prefer the higher stature and more substantial size of the XC. The stroked engine is perfectly suited to the Tiger 800. The throttle response is crisp and sharp, and the motor delivers its power with that typical Triumph triple characteristic of a wide range of usable power. For some reason Tigers eat the rubberised plastic chain runner that guards the swingarm and damps out chain noise when riding off-road. 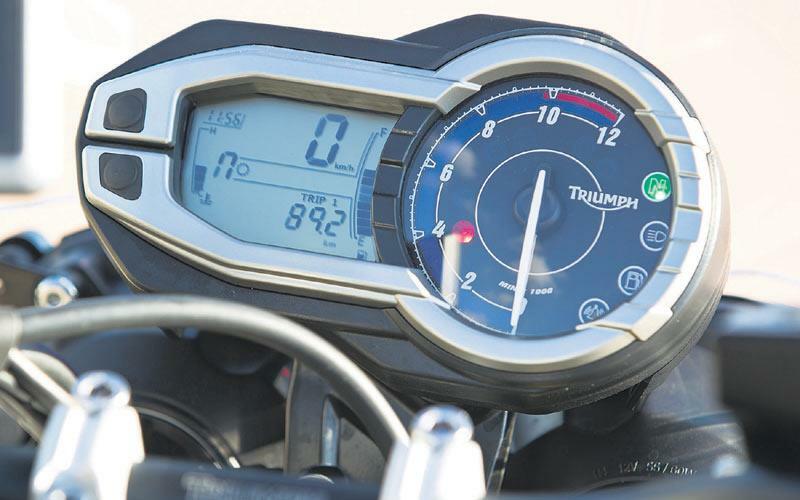 Whereas owners of most other model machines hardly give this item a second thought, Tiger 800 owners will be looking at replacing this small but important part regularly – Triumph recommend every 6000 miles. It is a simple task and the rubbing strip costs around £25, if you reuse the two rubber damping elements. The only recall issues came from the return spring on the optional centrestand fitted to Tiger 800s and XC models during 2011 and early 2012. It was at risk of failure, so this part was recalled and the spring was upgraded. At the same time, Triumph fitted the centrestand’s feet with tougher rubber boots to prevent it damaging the underside of the swingarm when stowed. Tigers built between September 2010 and August 2011 were recalled for an ECU software upgrade to prevent a fault which potentially caused the bike to stall under deceleration. 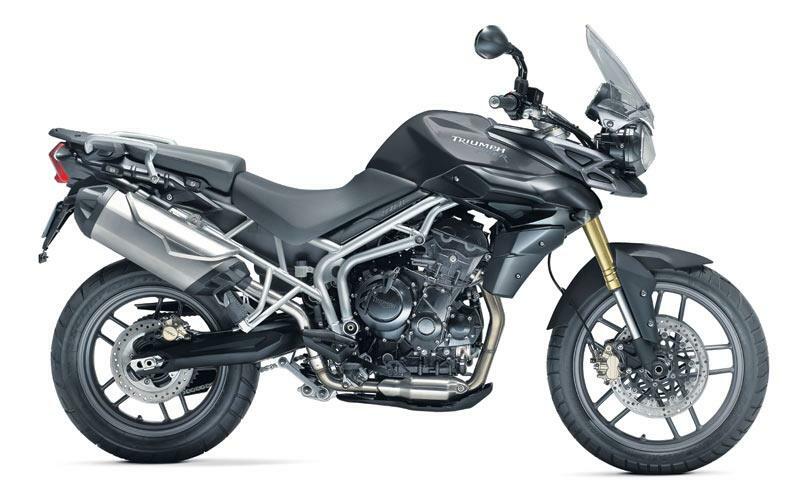 You pays your money, you takes your choice… the base version of the two Tigers ticks virtually every box and is probably, unless you specifically NEED some off-road ability, the more logical choice, but both are decent value. 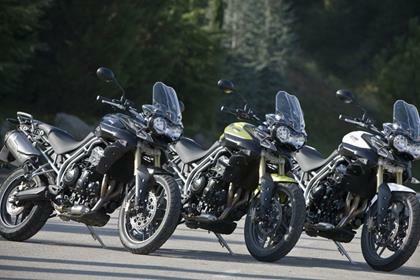 As the more entry-level, cheaper, road-biased option, the Triumph Tiger 800 is visually differentiated from the XC by its cast wheels (19-inch at the front in place of the XC’s 21), lack of ‘beak’ and less sophisticated, shorter travel suspension (although, just to confuse things, XC items like the beak and handguards can be fitted to the 800, too). 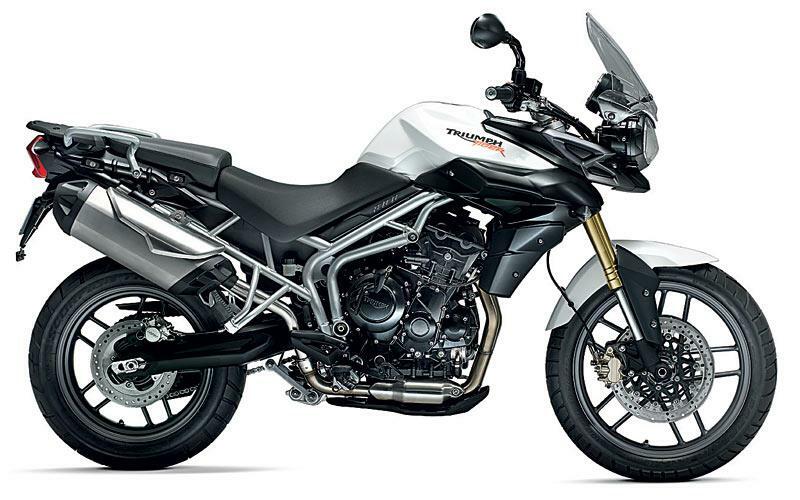 Triumph Tiger 800XC - off-road model with 21 inch front wheel. 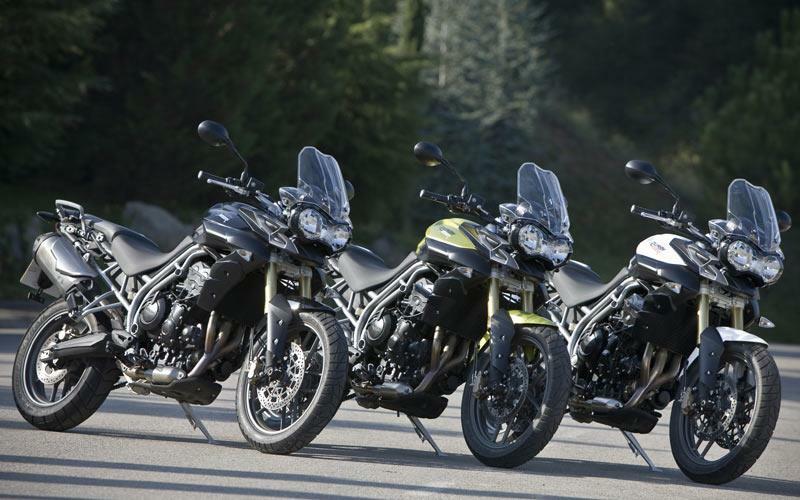 14 owners have reviewed their TRIUMPH TIGER 800 (2010-2014) and rated it in a number of areas. Read what they have to say and what they like and dislike about the bike below. The best all round bike I’ve ever had. Fairly economical at 54mpg average. I change my bike every 3 years, I’ve had this one for six, which is a problem for Triumph because I can’t find a reason to spend a lot of money on anything new. 6yrs and 40k miles. I’ve done a 900 mile day on it. Yes I had aches and pains but I’m an old fart so what do you expect. CHANGE THE SCREEN. The standard one buffets you. I spent a lot on a Madstad screen and now have the perfect bike. Power everywhere you normally need it. If you’re a ton up merchant, buy something else. They’ll do it, but better to keep it legal ish. There’s slight corrosion on the front of the engine but you really have to look hard. The spindle adjuster bolts in the swinging arm can rust in then break off because the swinging arm casting has a cut out section on the inside allowing salt/water to get in. In 36k miles, the valves have not needed adjusting. Riding/seating position but make sure you get a better screen. The original one is worse than useless. A1 Moto in York. Top bike shop, no pressure to buy, honest people, I demanded a high PX for my old bike, Darren insisted on giving me a bit more, couldn’t believe it. I bought my Tiger 800 new in 2013. I planned to have it for three years then move up to a bigger bike. 5 years and 50 000 miles later I can't think of a reason to change it. I commute a 70 miles round trip most days, in all seasons, some country roads, some heavy city traffic and some motorway. It copes with all road situations comfortably.I have toured around France, Ireland and the Alps. After a 250 mile day I get off feeling relaxed, not tired. The bike is light and comfortable. I love the smooth power and sound of the engine. It seems to have a hidden high pitch. Dogs do cartwheels and children stop, smile and wave. This is my first bike so maybe all bikes do that? Love it. The engine seems to be perfectly designed for UK roads. It is very quick to get from 50 mph - 70mph and will quickly drop to 30mph just by taking the throttle off. It dosent really want to go above 90mph. Personally I don't want unusable power. I bought from the Triumph Dealer in Northern Ireland. Customer Service is second to none. Great engine but the ergonomics are poor with the handlebars too straight and the screen too small for what is essentially a touring bike. Suspension is poor quality with the compression damping set far too hard. Both ends need a re-valve. Great engine. Has two characters. Low down just pulls from tick-over. High up like a sports bike but will drink fuel. I've done 68000 miles on two 800XC and they've been faultless. Annual costs depends on the mileage you do and how many expensive services you need. Centre stand is extra. Enough said. Tiger - sweet engine allied with superb build quality make this a bike to want to have and once you have it own it and love it. But the 2011 and 2014 version can be thirsty. I manage 200 miles per tank but with spirited riding it will drop to less than car consumption. I manage 50 to 55 mpg. the benefits though outweigh the negatives; I run this as my first main bike and have another for town/urban work (not a Tiger). So the Tiger is for longer runs where it excels. It has that adventure feel you sit higher than most bikes and it feels much bigger than a 'mid range' adventure bike of 800cc. I am nearing the 12,000 mile service and was shocked at main franchise costs for this service. I have halved that figure by using a Triumph independent mechanic. Our local triumph dealer is competent but not competitive. The bike is supremely well built - quality all over. It doesn't look like a cheap bike and it doesn't let you down. Non bikers haven't a clue what it is but the big bold Triumph Tiger logo on the tank presents itself as to what it is a British master class. No wonder it is one of the best selling bikes in it's sector. My only criticism is the high petrol consumption That's why it only gets a 4 out of 5 from me overall) but Triumph fixed this in 2015 onward models. My model has ABS which has never kicked in but nice to know it's there if needed. Cheap suspension and brake components make it competent but make it a good bike, not a great bike. Cheap suspension is a shame. Powder coated frame is lovely. Bullet proof and economical. Low insurance and easy to ride. Basic but fine for an adventure bike. Lots of accessories available. After 5 years it still puts a huge smile on my face. Can't think of a bad feature. Recommended. Great all round bike. Suspension not the greatest but works well enough. Stonking flat torque delivery. Embarrasses many a sports bike. Stone chips on the frame. Only failed once and even then not a problem continuing with the journey home - gear lever shaft failure. Not as many "toys" as the newest model but has as standard a very comprehensive instrument display. Bought new in Dublin. Park exchanged my Tiger 1050. Best features... smooth and torquey engine which pulls smoothly from low revs and sounds good, comfortable seat and riding position, good gearbox, competent suspension, nimble handling, great all rounder, very easy to ride under all conditions. Could benefit from more top end power, a little twitchy at high speed, throttle a little jerky. and a terrible windshield, both stock and higher version from Triumph. lots of buffeting and wind noise. Replaced with 18 inch Madstad - now calm and quiet. Love the smooth, wide powerband. It's a delight to ride, the best in the business. Can pull away at very low revs, and cruise around in a high gear with no lugging, then accelerate right up the rev range. Have not experienced any heat problems, even on a hot summer day..much cooler than my former Sprint. Could use more high end power...noticeably slower at high speeds than my Triumph Sprint 955..but more user friendly at everyday speeds, so it's a bit of a tradeoff. Only 7,000 kilometers, but everything looks good..high quality on paint and trim, no reliability issues. Practical. tiedowns, luggage rack. clearly designed by people who use their bikes for more than short runs. Triumph windshields, both standard and higher versions, did not work at all for me. worst buffeting and wind noise I've experienced. much better with no screen at all, so wind flow could be clean. Installed a Madstad which solved the problem with its design allowing air to enter under windshield and reduce low air pressure, there should be one like this standard. I've ridden this bike for 40K miles, covering much of the US including Alaska, and large parts western Canada. I've never had a breakdown. The bike is agile in mountains and decent on gravel and dry dirt roads. It's light enough to pick up. Power is more than adequate for me, my camping gear, racks and panniers which together weigh about 170kg. Chains and sprockets need renewal at about 15K miles, tyres at 6K and full synthetic oil isn't cheap. I get around 42 mpg. A Madstad screen was a must, and Happy Trail panniers have kept all equipment dry. It now has a Sargent seat. Brakes are fine. ABS helps during a panic on dry pavement. Great, smooth running engine. Very even power delivery. Vibration is nearly absent, and wrists, hands or feet do not become numb. At first, the bike did not idle. A local dealer replaced a part, the problem went away and never returned. Valve clearance check and adjustment is about $700 US dollars - ouch! Several of my valves were out of spec at 28K miles. Seat and standard windscreen must be replaced. This, like many other bikes, should be sold sans seat and windscreen at a reduced price. I've owned close to forty bikes of all shapes, styles and sizes. This is comfortable for two up, one up, twisties, bumpies, straights everything. Yes other bikes do some bits better but this does evryhting you can ask of it. It says a lot that I've averaged 2000 miles a year for the past ten years but covered 7500 in less than 9 months on the tiger. I use the bike every day for commuting, every weekend for a ride out and have done three week long tours this year, I can't stay off it. I've done a couple of 10 hour days up to Scotland and comfort has been absolutely fine although I have heard others complain that it's uncomfortable. Guess it depends on the shape of your sit bones. I've had a couple of 'moments' on loose gravel and manhole covers but the bike has twitched, settled and carried on before I've had chance to panic. All the torque you need, all the power you need on the road. It returns mid 50's mpg on a motorway run and mid 40's if I push on on the bends. Only minor issue was that it is a little high revving for chugging along off road but then it was never genuinely designed for this. Only issue I've ever had was a dodgy throttle position sensor, it didn't leave me at the side of the road but started cutting out at throttle roll off. All fixed under warranty and not a problem since. Triumph servicing isn't the cheapest with £250 6000 mile service and the 12000 mile expected to cost £500. It's not so over the top and it all gets done correctly. I've had other brands from other dealers where the service checklist was ticked off but not necessarily done. Tyres: The Pirelli Scorpions it came with lased 5000 miles, I was hoping for more and they were ok tyres. I replaced these with Pilot Road 4's which are exceptional and the only thing that slows me down in the wet is lack of visibility. Pads: changed at 5000 miles in preparation for a week long tour of Scotland. Could have squeezed a bit more out of them but I think commuting takes its toll on the pads. Chain: fitted a scottolier when new and I've adjusted it once (and once again at 6k service I guess). Loads of life left in it. 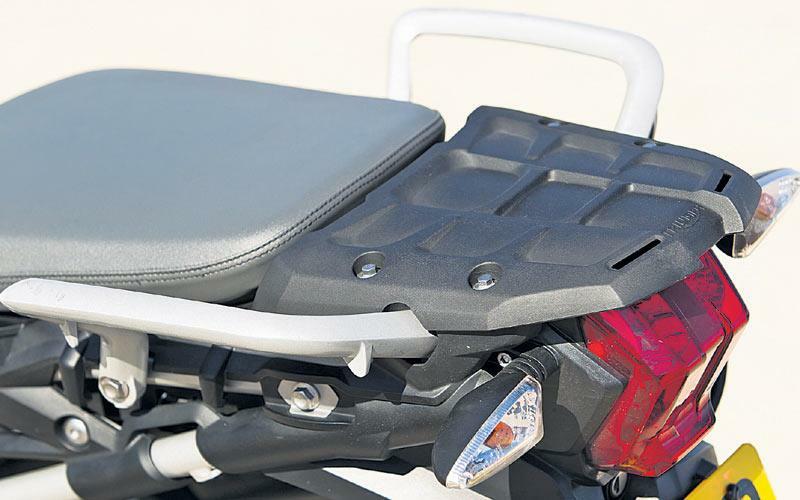 Accessories: Heated grips, engine bars, higher screen, hand guards, They all contribute their own little bit but I wouldn't go mad for any of them. Probably the most useful (but boring) accessory is the centre stand. Maybe I'm just too old skool but I like to have a centre stand, it just makes it so much easier to check chains, remove wheels for tyre changes, brake pads etc. Bought from a dealer as the last of the 800 ABS before the new new ones came out. Got £2500 off list and £1000 of Triumph accessories thrown in. Just couldn't resist the deal. The Tiger 800 I don't own any more, I traded in on a Triumph tiger sport, before thr 800 I had a Triumph tiger 955i. The 800 is a great bike for those riders that haven't been in the saddle to long, say stepping up from a 250 or something like that. It makes a great bike for females or shorter male riders, postives for this category of rider are Post 1. Low seat ( 810mm lowest setting) this is without any lowering of suspension either. 2. Gear incataor 3. Low oil window 4. Very smooth tripple engine ( with very easy manageable power) 5. Not to heavy Negatives 1. Handling on the twistes is ok ( not brilliant) 2. Not very exciting to ride 3. No adjustment in front forks Other than that its a great all round motorcycle, that can be used as an all day commuter, weekend rider , long distance touring ( only one up ) , bike has a great range of accessories, couldn't recommend to less experienced and female riders enough. Hired one while in Australia and did a 1500 kms tour with my son-in-law and friends. We were 6 bikes in all. 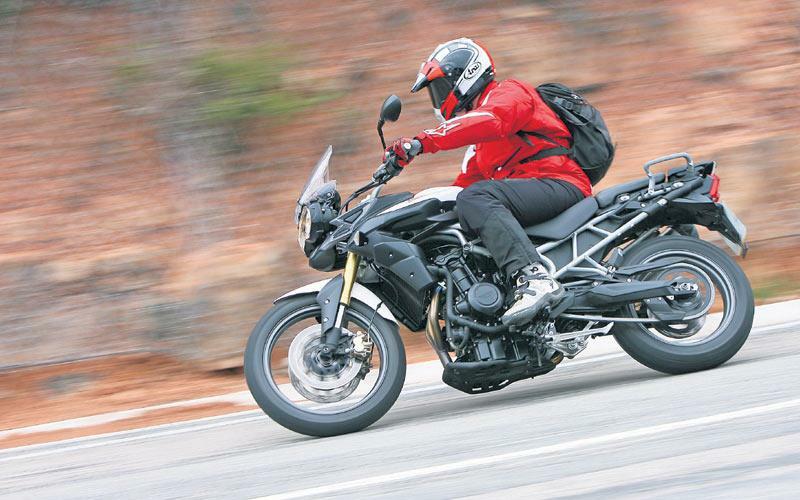 The Tiger is a doddle to ride and handles beautifully. Gear change is slick and controls work well. Seat height fine. But the screen! Totally ruined my ride. Unless you can find an aftermarket screen that works, think again before buying. Oh, someone else who rode the bike complained that in traffic there was too much heat around his legs. Saw it in MCN bike test and went for a test ride.Pulls like a twin revs like a four and handles beautifully. Added a 'beak' etc so now its like the XC. I am so enjoying this bike and its British! Engine, clutch & gearbox are a delight. Handles superb, corners well, bit hard on front end over bumpy roads. only real gripe is the screen, even with the adjusters fitted, it was unbearable at speed. Removed it completely, a lot better. Day i bought this, went for an 800 mile trip abroad. Rained all the way and you have to like a bike after that as it never missed a beat. Headlights finally sorted, harsh suspension to start with until i discovered you could adjust it, two clicks off standard and fine for me. Fuel consumption was great on the trip, over 200 miles to a tank so no complaints there. Handling excellent, engine superb, a great touring machine if you ask me. On a side note to Triumph, can you do something with the screen please? While you're looking at updates, a longer chain guard wouldn't go amiss.